Pharmaceuticals, foods, chemicals, feeds, and agricultural products. ◆ For Fluid bed dryer/granulator discharge use. ◆ For drums lifting and feeding. 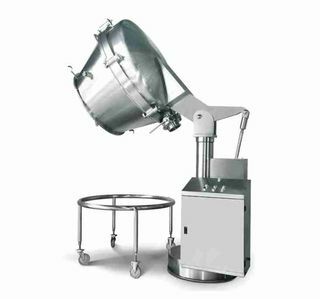 ◆ For feeding into tablet pressing machine, capsule filling machine, coating machine...etc. 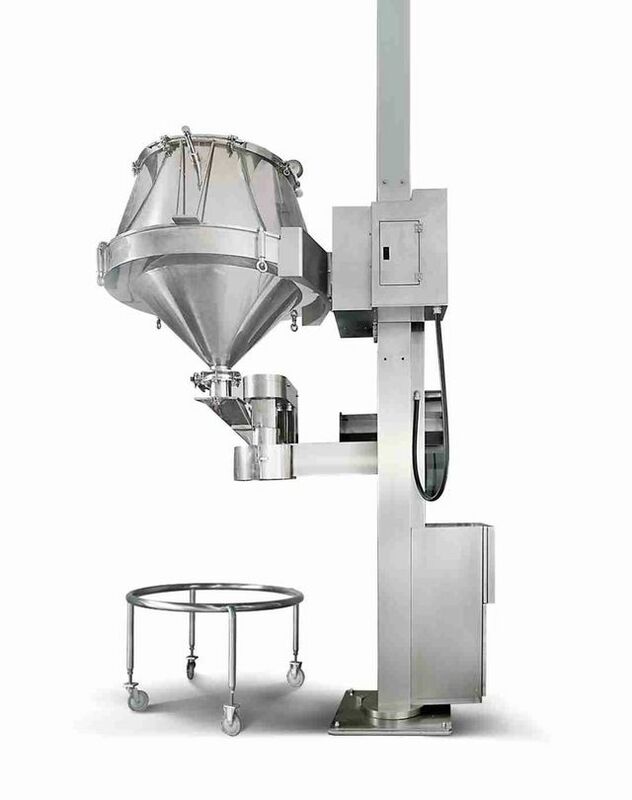 ● Let powder, granule, and tablet feeding automatically. ● Operation by wire, easy to use and clean. ● Closed operation, reduce dust. ● Can be connected with cone mill, save manpower. ◆ lift: lifting drums by hydraulic cylinder, can be positioned automatically. ◆ Machine platform rotation: Can be 90° rotated manually.